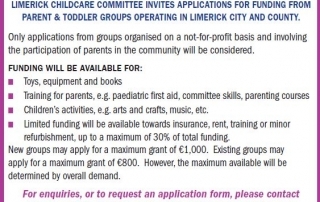 Applications for funding are invited from existing Parent & Toddler Groups as well as new set-ups. Closing date for receipt of completed applications (hard copy only) is Friday, 29th June. 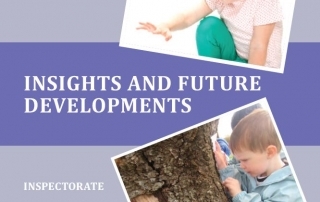 We are delighted to bring you “Ambitions for Transitions: A Guide to Support Every Child’s Progression from Early Years Services to Primary School”. The Department of Children and Youth Affairs commenced distribution of AIM Inclusive Play on 9th April 2018. Approximately 200 AIM Inclusive Play Packs will be delivered daily to ECCE settings nationwide. This festival runs across Limerick City and County from Monday 19th March to Sunday 25th March. To support the event, on Saturday 24th March at 10.30 a.m. in The Granary Library, Limerick Childcare Committee is presenting ‘Let’s talk about…. Your Child’s Language Development’. This informal event is open to parents/grandparents/guardians. Diversity, Equality and Inclusion Training Programme. 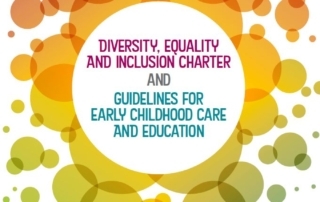 Training to support early years educators engage with “Diversity, Equality and Inclusion Charter and Guidelines for Early Childhood Care and Education” is being delivered in Limerick on 24th February and 3rd March 2018. Further details on our Training page. 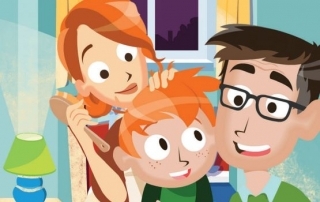 The Poisons Information Centre of Ireland has produced a very useful leaflet entitled ‘Poisons Prevention Guidelines’ which also advises what to do if you think your child has been poisoned. 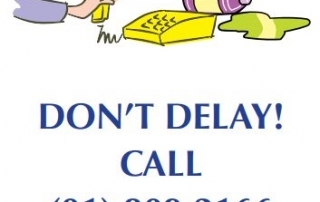 See leaflet here. 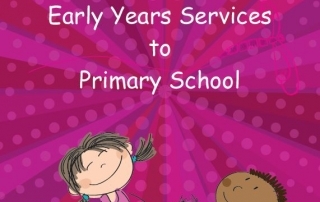 The report draws from the findings of 867 inspections conducted nationally on providers delivering the state funded Early Childhood Care and Education (ECCE) Free Preschool Programme. These inspections were undertaken to specifically evaluate the quality of children’s learning and development within these settings. 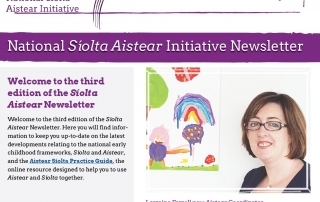 Minister Zappone has announced funding of €3.2 million for the latest addition to the suite of pre-school supports for children with a disability provided under the Access and Inclusion Model (AIM).